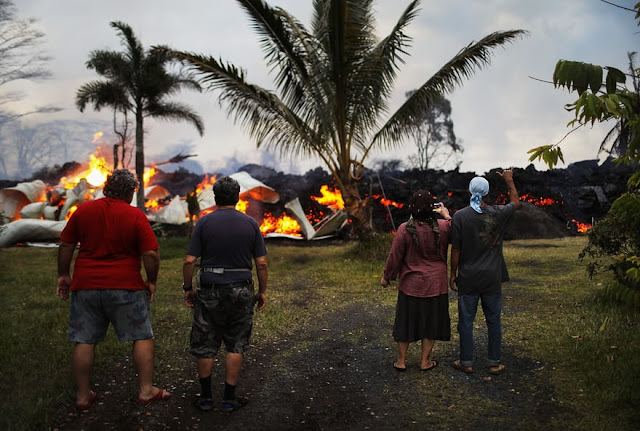 In Puna, the area of Hawaii island that’s been hardest hit by the Kilauea volcano eruption, those who lived nearest to the lava flows watched the forest around their homes begin to die first. They said the fruit trees, flowers and ferns began turning brown, languishing in the noxious, sulfur-dioxide-filled air. 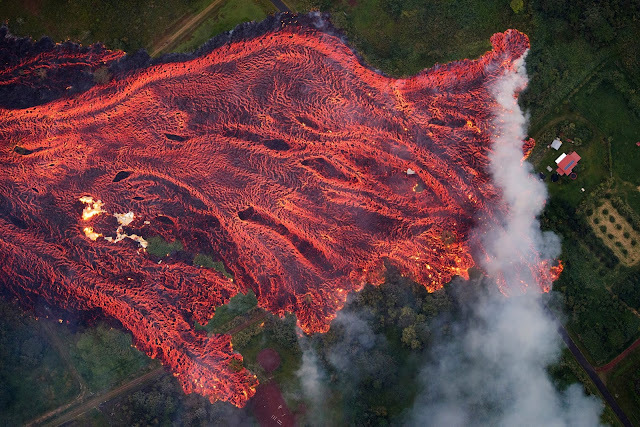 Then the lava came. Now large swaths of formerly verdant forest has been replaced by rough and barren volcanic terrain. 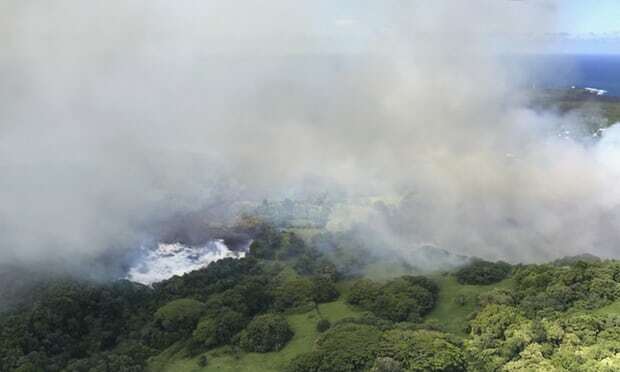 “Before the eruptions, that area was probably the best forest left in the state of Hawaii,” said Patrick Hart, a biology professor at the University of Hawaii at Hilo. 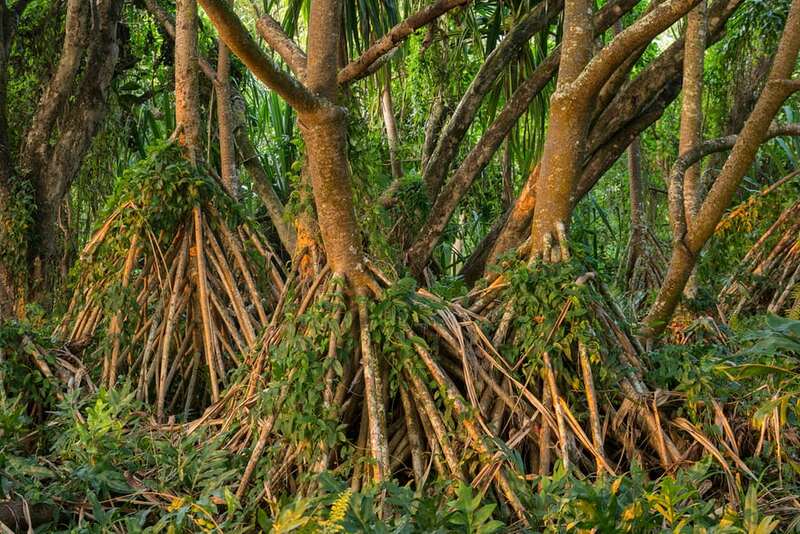 “There were areas where the native Ohia forest extended right up to the ocean, and you just don’t see that in the rest of Hawaii,” he said. Now it’s covered with 20 to 30ft of lava. 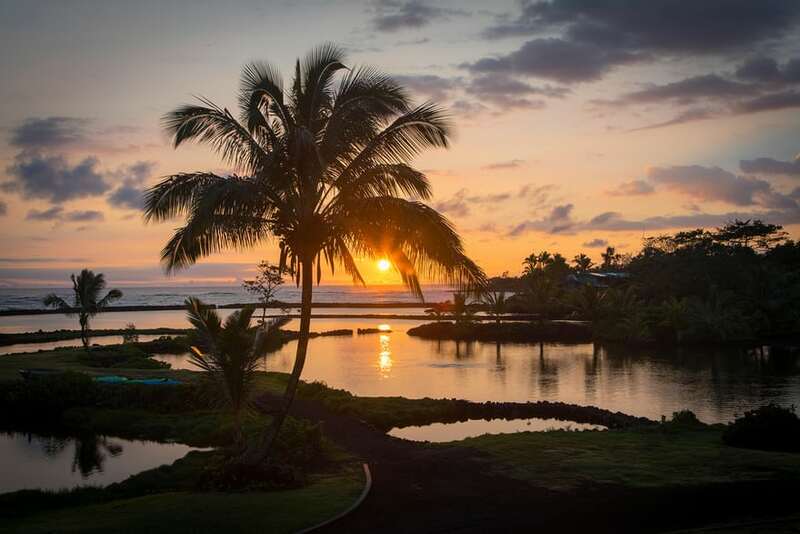 On Hawaii island, also known as the Big Island, lava from the weeks-long eruption of the Kilauea volcano has also paved over tide pools and coral gardens, boiled a 400-year-old lake until it evaporated and killed a number of sea creatures. 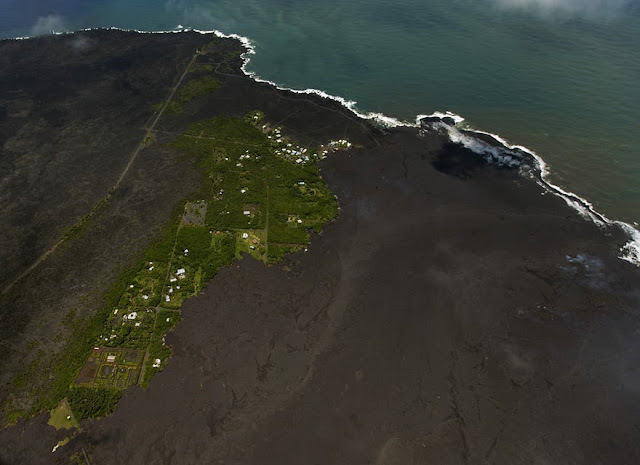 But to scientists, it’s just part of life on the state’s youngest island, where land is still being created as lava continuously reshapes the natural environment. The humid, rainy forests in Puna were an important habitat for native Hawaiian trees, birds and insects, Hart said. Chartreuse-colored ‘amakihis and bright red ‘apapanes rested on trees, Hawaiian hawks soared through the air, and dragonflies, butterflies and crickets all made the forest their home. It will likely take at least 100 years for the decimated tracts of lava-covered forest to begin again – first with lichen, then with native ferns and Ohia trees that have adapted to grow on lava. In 150 years, Hart said, the land could begin to resemble a forest like the one that used to be there. It’s a process that has happened many times before on Hawaii. Elsewhere in Puna, there have been other dramatic changes to the landscape. On the morning of 2 June, lava poured into Green Lake. Plumes of steam began rising from the popular swimming spot where depths reached about 200ft; in less than two hours, the 400-year-old freshwater lake was gone – evaporated and covered in lava. Just days later, rivers of lava flowed into nearby Kapoho Bay, destroying hundreds of homes and paving over the turquoise, coral-filled bay and a series of rare, protected tide pools that had teemed with marine life. The tide pools at Kapoho Bay, Colbert said, were home to thriving coral and abundant fish – especially small ones that found safe haven from predators in the protected environment. When the lava entered the ocean there, much of the marine life was covered or boiled alive. “For the animals right there when the lava reaches the water, they don’t have a chance,” he said. In the meantime, the surrounding water will need to clear, but that won’t happen until the eruption slows or stops. The loss to scientists has been great. “There was no place like Kapoho in all of Hawaii,” said John Burns, who spent a decade studying coral in the tide pools, said. “That entire habitat is gone now.” Once the glassy volcanic particles dissipate and the PH and temperature of the water returns to normal, he said, the coral can begin to regrow. But it will be starting from scratch, just as part of that area did when it was formed by lava in the 1950s and 1960s. How fast the coral regrow will depend on whether the lava creates a sloping coastline, or protected pools like it did in Kapoho, which can allow for faster growth than the usual rate of one centimeter per-year. “In terms of marine organisms and coral, we’re basically starting from day one now.” And yet, he said, it’s easier to lose an irreplaceable reef to lava than it is to lose it to bleaching, which has happened in many places in Hawaii because of a global rise in ocean temperatures.